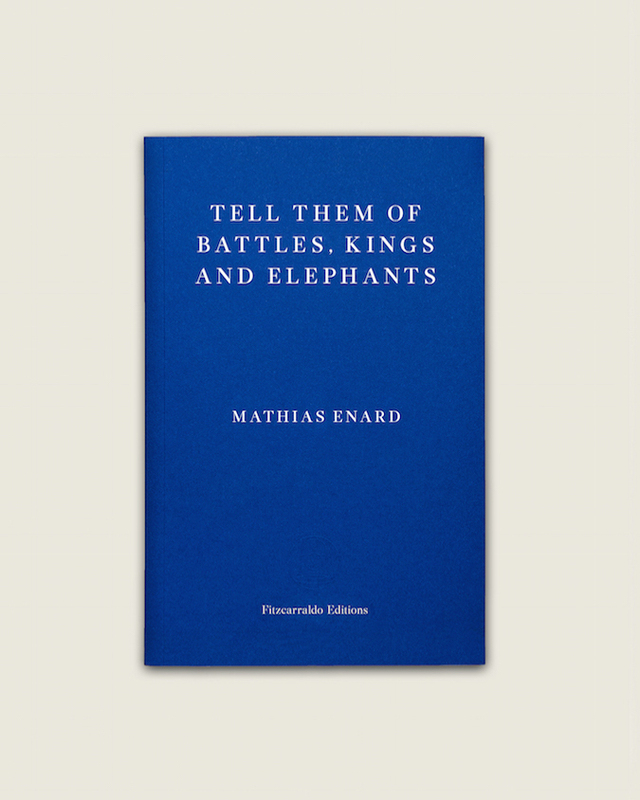 A break today from German lit a recent novella from one of my favorite writers of recent years Mathias Enard. This Novella appeared in French after his book Zone Reviewed here and street of thieves which also I have reviewed. This is a book that for me is more connected to his most recent book Compass as it tackles the connection between the east and the west the gateway to the Orient as once it was known Constantinople. What Enard has done is used a piece of actual history around the time and added a story that might have happened to it. Three bundles of sable and mink fur, one hundred and twelve panni of wool, nine rolls of Bergamo satin, the same quality of gilt Florentine velvet, five barrels of saltpetre, two crates of mirrors and one little jewellery box: that is the list of things that disembark with Michaelangelo Buonarroti in the port of constantinople on Thursday, 13 May 1506. Almost as soon as the frigate moors, the sculptor leads ashore. He sways a little after six days of difficult sailing. No one knows the name of the Greek dragomanwaitint for him, so we’ll call him Manuel. The trade imortance is shown by what has arrived with Michelangelo in the boat from Italy. The book is set in 1506 where we join the rising Artist Michelangelo who has been asked to make a trip to Constantinople by the Sultan of the town to try and design a bridge to go over the Golden Horn. He is following in the footsteps of Leonardo who was asked to design a bridge but his design wasn’t liked by the Sultan so he has asked Michaelangelo to come and put his mark on the world by building a great and wonderful bridge to Join east and west. The young man has his eyes and heart opened by the Ottoman world he sees so different from his own home as he tries to bridge the ap and one night sees a singer that captures his eye. As he is guided around the city by Mesihi (an actual member of the Ottoman court at the time). We also see the trade route that the city is the crossing road of the produce from the Orient to those going from Europe to the east on the various ships and barges he sees in the port area. As he tries to get the bridge right in his mind and then on the paper but eventually he gives his friend Mesihi a drawing of Elephants. Little by little, sittin cross-legged on his cushions, Michelangelo feels overwhelmed with emotion. His ears forget the music, or elseperhaps it’s the music itself that is plunging himinto this state, making his eyes tremble and filling them with tears that will not flow; as it was on that afternoon at Santa Sophia, as it is every time he touches beauty, or approaches it, the artist shivers with happinedd and suffering intermingled. This book cleverly uses real people all the main character existed. Leonardo did go and design a bridge that was rejected. But there is no proof that Michaelangelo did although as Enard points out there is drawing in the Sultans collection that had been attributed to Michaelangelo. If a bridge had been started or even built a huge earthquake three years after the book is set could destroy it. The book shows the art of storytelling a simple idea did he go is a way of lifting the veil of the Ottoman world of the 16th century and also its importance as a trading post and crossroads or a bridge between to worlds as Orhan Pamuk said “To be able to see the Bosphorus, even from afar—for İstanbullus this is a matter of spiritual import that may explain why windows looking out onto the sea are like the mihrabs in mosques, the altars in Christian churches, and the tevans in synagogues, and why all the chairs, sofas, and dining tables in our Bosphorus-facing sitting rooms are arranged to face the view.” His modern city has seen many changes from the Sultans time but the Bosphorus is still the blood ruing through the body of the city connecting the west and east sides and the two worlds. The title is a nod to Kipling and is a quote from a story that is told by an elderly Indian to a young westerner.